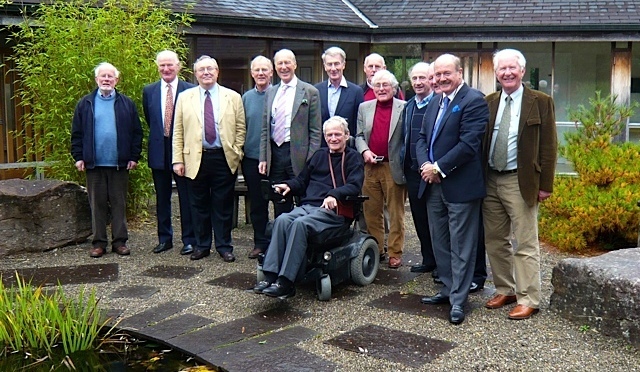 It was wonderful to see and meet those warriors from the 1963 Class who turned up in Adare on the 19th of October last. Yes, there were changes and to meet Simon Healy my old adversary on the football field in Glenstal after 50 years was magical. The golf outing in Adare was marked by a glorious afternoon but a very small turn out which possibly could be attributed to our age profile. This did not prevent Johnny Mullan proving too good for his fellow competitors on the day. As always we were looked after wonderfully well by all in the Dunraven Arms and had a splendid meal. It was sad for us all to reflect on our “Brothers” who had departed since we last met ten years ago: – Paul Harvey, Nick Healy and Paul Sandys. Our Chairperson John Blake Dillon led us all back down memory lane with the only speech of the evening before we dined. His virtual trips back to Glenstal reflecting on some of our old teachers were fascinating and he dealt with the hecklers in his usual efficient and entertaining way. We duly retired on Sunday morning to Murroe for a lovely Mass celebrated in the Guest House by our recently elevated Father Anthony (Henry Keane), one of the class of 1963, who had also graced us with his presence in the Company of Tom Seaver and Fr. Philip in Adare the previous evening. It was felt by all that perhaps a reunion in five years might be more appropriate than the usual ten years! Photo (L-R): Eddie O’Clery, Gerry Halley, John Blake Dillon, Simon Healy, Rory Egan, David Martin, Vinno Ryan (in wheelchair, permanently alas), Peter Kieran, John Potter-Cogan, Jimmy Tyrrell, Adrian McLynn (almost hidden), Bobby Mooney & James Egan. Brian Callanan was also there but had gone for an amble around the school when this photo was taken. 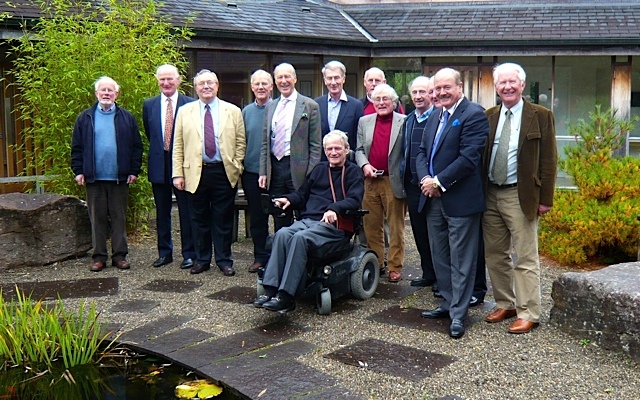 The reunion was attended by 21 out of the 34 survivors from the year, which unusually had 2 classes with a total complement of 39.